It is not uncommon for a person to suffer from eye infection and there are a lot of ways a person can get infected. An eye infection happens to a person when certain microorganisms that cause damage like bacteria, fungi and viruses invade any part of the eyeball or an area that is near it. In most cases it is the top layer of the eye and moist membrane lining the outer eye and inner eyelids that get infected. People should know that more serious infections are possible when the microorganisms penetrate the deeper, interior portions of the eye. People should know that it is important that they visit the eye doctor anytime they suspect of eye infection. Before prescribing the proper treatment, the doctor needs to properly determine the infection that is causing harm. Eye allergies and dry eyes have almost the same symptoms as eye infections and in these situations the proper treatment is very different. In case of eye infections, a person will experience redness, pain, discharge, watering and light sensitivity. The doctor will usually take a sample to the laboratory in order to determine which infection is harming the eye. Pink eye or conjunctivitis is the most common eye infection among people. This eye infection is highly contagious and it is usually seen in children. The infection is easily spread from one child to another in classrooms, day-care centers and places like that. This infection is in most cases either viral or bacterial. Apart from the conjunctivitis, some of the other eye infections are ocular herpes, fungal keratitis, trachoma, acanthamoeba keratitis and endophthalmitis. In case of fungal keratitis a person may experience a rash and even hair loss apart from the eye infection. Trachoma is not that common in the United States but people should know that it can cause blindness. On the other hand, in case of endophthalmtis, a person will definitely experience blindness if he or she does not receive immediate treatment. In case of bacterial infections, they are usually all cleared with prescription antibiotic eye drops or ointments. Viral infections are known to resolve on their own and do not require a special treatment. Treatment is needed only in case of severe viral eye infections. 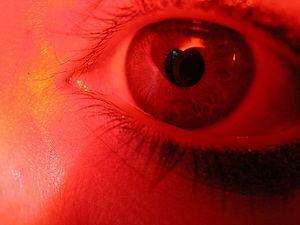 Avoiding contact with a person who has red eye is the best way to avoid getting the infection. Washing the hands before touching the eyes or handling the lenses is an excellent way to avoid infections. Personal hygiene is very important. Unidentified eye infection, possibly Acanthamoeba Keratitis? Why is Acanthamoeba Keratitis difficult to diagnose? How to know if I have Acanthamoeba Keratitis?